I think by now it's safe to say that anyone who has read several of my reviews knows that I am a chili head. I love hot sauce, I love peppers, I love candy with peppers in it. 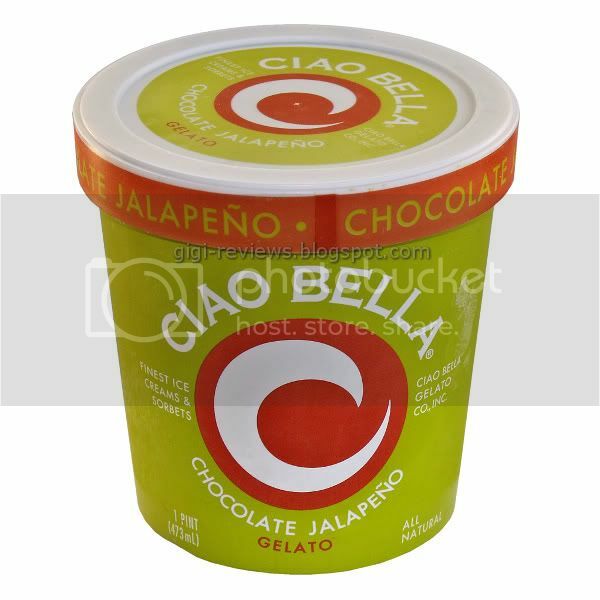 And while I was browsing through Ciao Bella's website, I saw that among all the flavors they offer, one of them is a chocolate jalapeño! So I went on a quest to find it locally...and I came up dry. I finally contacted the nice folks at Ciao Bella, and they were kind enough to pass a pint along to me -- so thank you, Ciao Bella! This gelato is made with West African chocolate, and it's not merely flavored with jalapeño. No indeed, this gelato is spiked with actual pieces of jalapeño. Clearly, an auspicious omen! 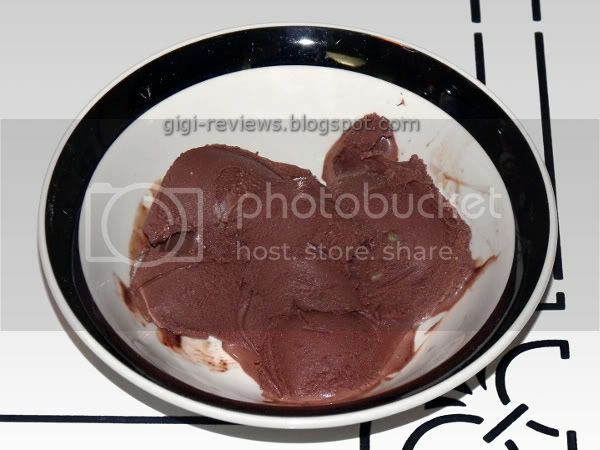 At first glance, the gelato looks like any of the other Ciao Bella chocolate gelatos. It's a dark, rich milky brown. (It's actually a lot darker in color than it appears in these photos. I blame the camera flash.) The aroma is that of a slightly spicy chocolate. As if there might be cinnamon lurking somewhere within. So now we know what it looks like and smells like...but how does it taste? It starts off harmless enough. It reminded me of a deep Dutch chocolate. Very strongly cocoa flavored, and a little sweet. It's a really tasty chocolate that would be good even on its own. After a few moments, you're hit with a peppery spice and then the sweet, slow burn of the jalapeño. 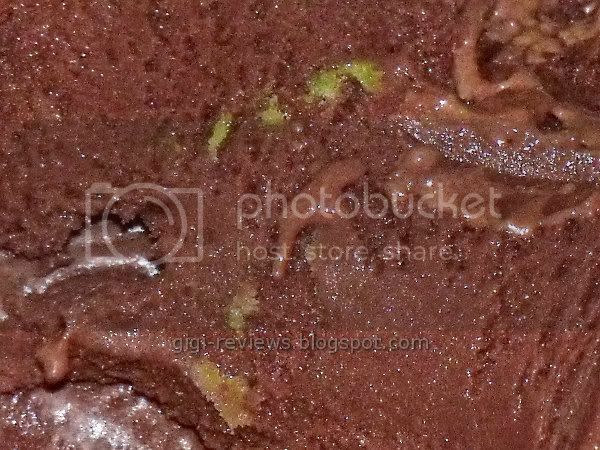 And yes, as stated above, there really are little green bits of jalapeño pepper in the gelato. Just little itty bitty tiny pieces, but it adds a unique texture -- it's a little crunchy, and there are even some seeds. The level of heat varies depending on how many jalapeño bits/seeds you get in your spoonful. The heat is cumulative, though it remained low on my personal scale of hotness. But I loved the combination. The milk mellows the jalapeño burn and keeps it from becoming overwhelming. At the same time, the peppers add depth to the chocolate. I warn the meek: there is no mistaking the fact that there are jalapeños here. And for those of you who prefer the heat in low doses, it might be a little intense for you. This surely wouldn't be the gelato of choice for everyone. But if you chase the burn, it is well worth tracking down. Delicious! 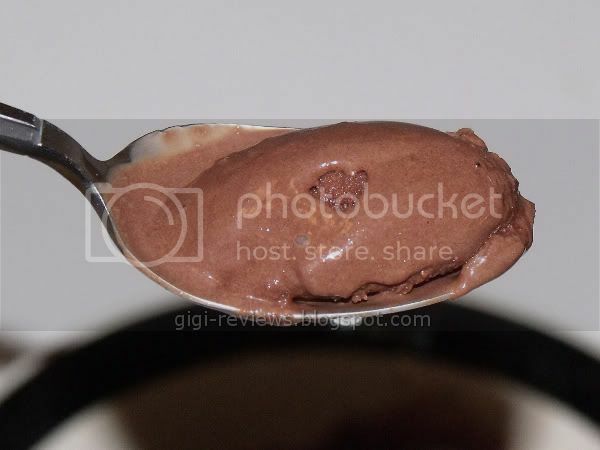 230 calories per 1/2 cup serving.